Cider production. Time and again people ask us how cider is produced. Actually, there’s a variety of methods. 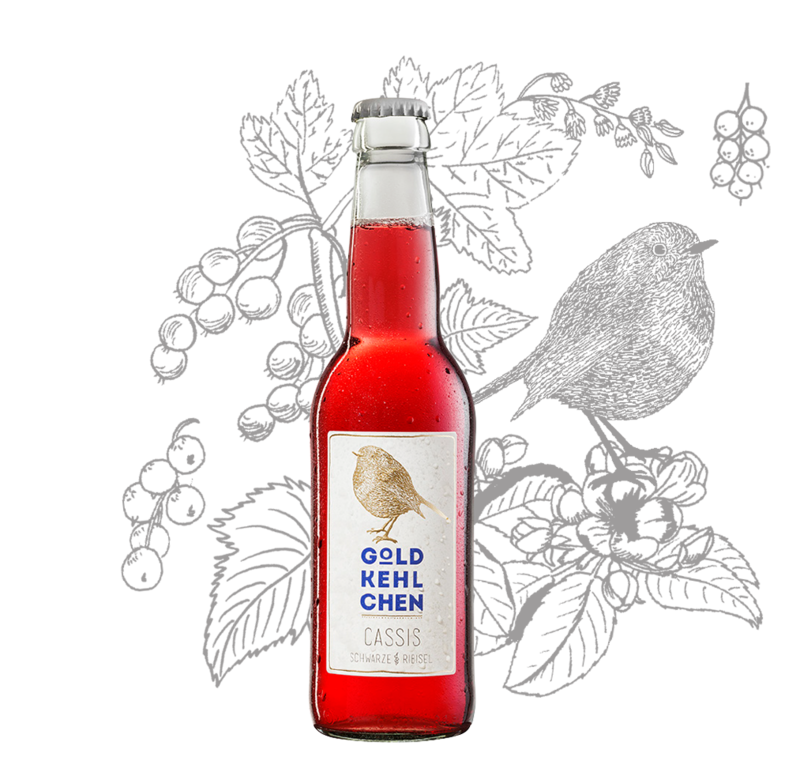 The traditional and logical one involves plucking apples, pressing the juice out of them and fermenting them by means of yeast (as is the case with wine manufacturing), into fruit wine. And you end up with a tangy drink with a little fizz. As many people prefer a sweeter and lighter alternative, sugar and water is often used as dilution. 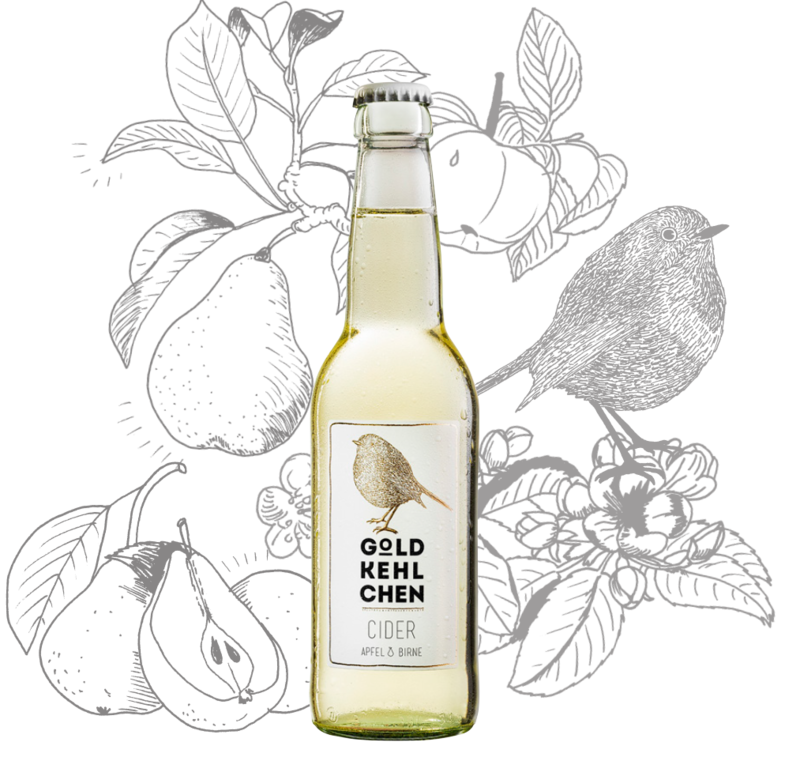 Or as is the case with our alternative, real apple juice is used, from the same type of apples that the fermented apple juice is made from. It makes sense, right? 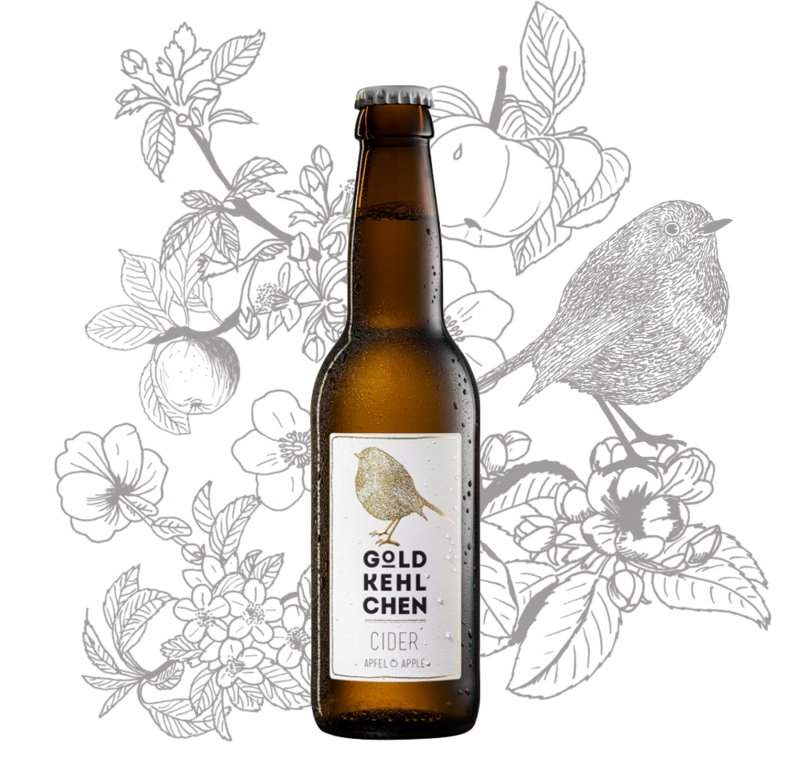 And it’s worth taking a look at the backlabel to find out if you are simply drinking flavoured sugar water or 3-4 hand picked Styrian apples! This tastes better, and makes a lot more sense, wouldn’t you agree? Cider purity requirement. Styrian apples unquestionably count as one of the most refreshing delicacies that Austria has to offer! 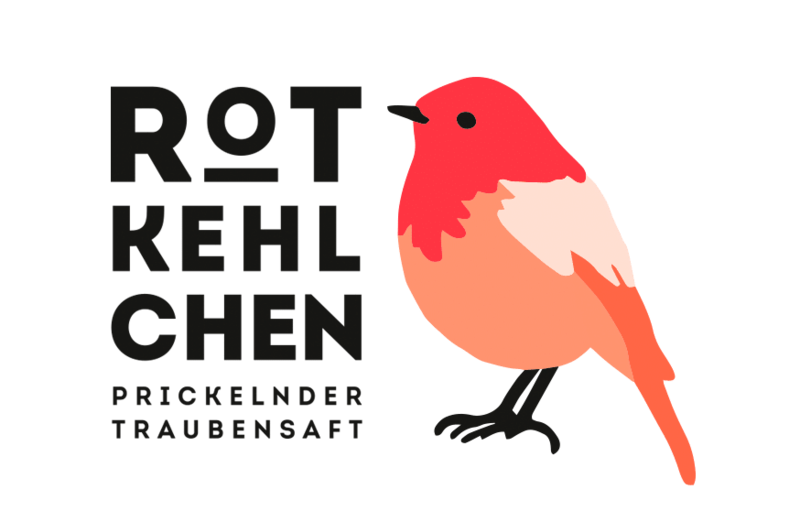 And we’ve made the best out of the Styrian apple! Naturally, without the addition of aromas, colourings, flavour enhancement, and without sending the apple unnecessarily around the houses. 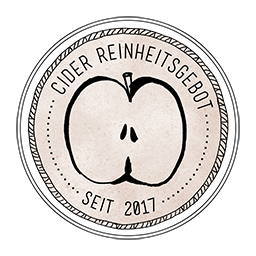 In contrast to usual ciders, we use real Styrian apples instead of concentrate. It certainly tastes better and makes a lot more sense, right? The apples are hand picked and don’t ever touch the ground and that is why our apples keep their premium quality. 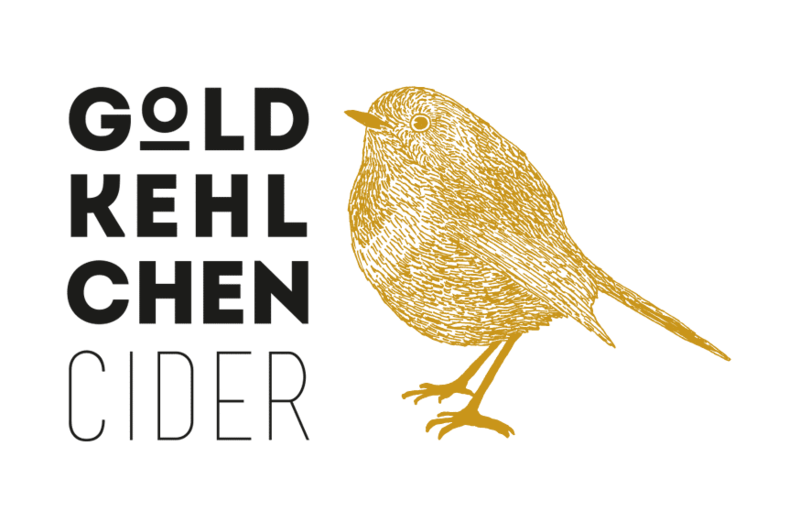 Goldkehlchen Cider is vegan and the light sweetness comes from where it tastes the best: from the apple itself. 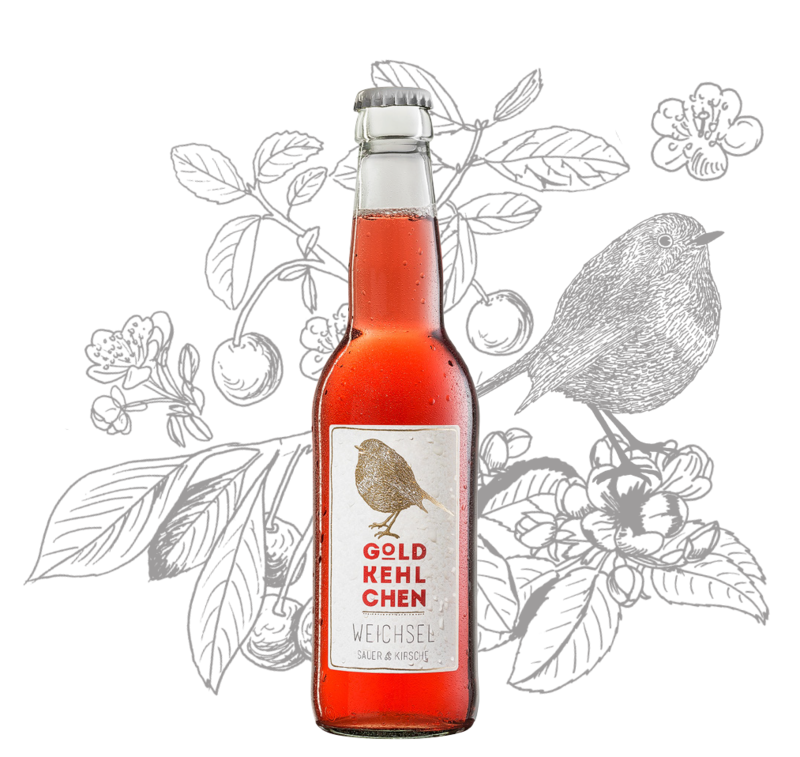 You can taste the unique taste of sun-ripened apples in every sip. 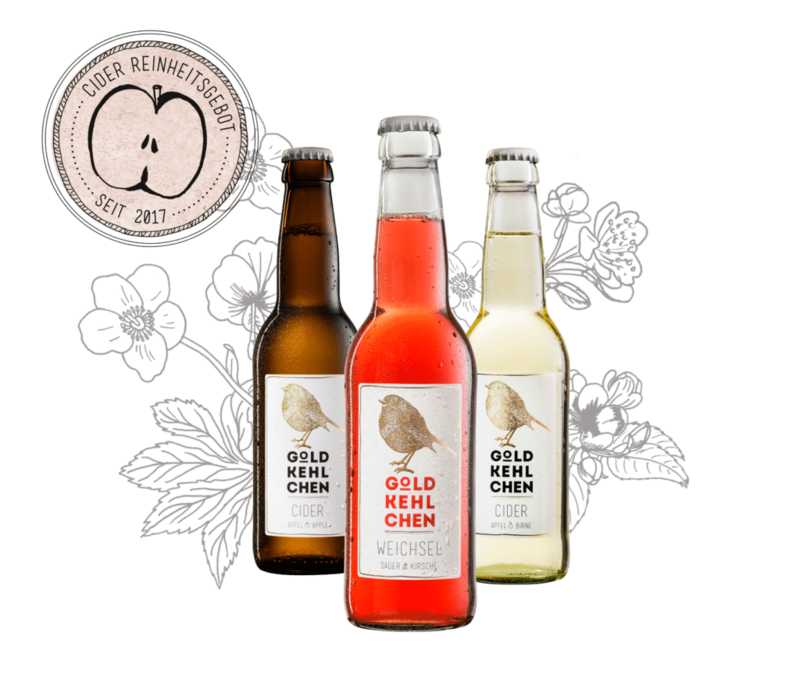 It is only possible to produce Austrias best Cider by having high demands on quality throughout the whole cider making process. So that is why we follow our own strict quality code from orchard to bottle.